Radon is a cancer-causing radioactive gas formed by the natural breakdown of uranium in the soil. Radon gas enters a home through cracks and other holes in the foundation and can build up to dangerous levels in the home. You cannot see, smell, or taste radon, so the only way to know if there are unsafe levels of radon in your home is to have it tested. Why is Radon in your Home Bad for You? Radon claims over 20,000 lives every year. 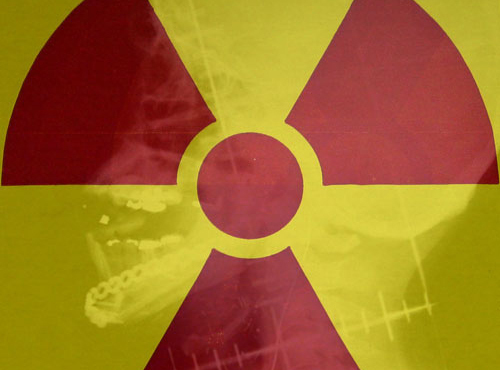 Radon particles become suspended in the air, and when inhaled, the radiation can damage lung tissue and DNA. Unlike other home pollutants such as carbon monoxide, radon’s adverse health effect, lung cancer, may not present symptoms for years. Because of this, you may be exposed to radon for a long period of time without ever knowing that it is affecting your health. Whenever considering the purchase of a new home, it is important to have it tested for radon. Unsafe radon levels can exist in new homes, old homes, and homes with or without basements. Even homes next to each other can have different radon levels. Radon mitigation systems are used to reduce radon levels in homes. These systems are very common and should be no cause for alarm. However, the home still needs to be tested every two years to make sure the system is functioning properly. During your real estate transaction, a radon disclosure form may be presented to you. The form shares any information the seller has about the home regarding radon hazards. The seller, buyer, and agent are all required to initial the disclosure. Radon is measured in picoCuries per liter. The U.S. EPA’s level of action for radon is 4.0 pCi/L. Every home should be tested during a real estate transaction even if the seller provides proof of test results below 4.0 pCi/L as testing results may vary by measurement practices and time of the year, or the home has an active mitigation system, or the home has a passive new construction pipe. A radon test can be coordinated to coincide with your home inspection. As the homebuyer, it is important that you initiate this request because it may not be a priority for the seller. This will reduce the risk of test and/or document tampering. For your health and the health of your family, have a professional home inspector test for radon in your home. Lakeland Home Inspection Service offers Radon Testing so that you can keep your family healthy in your home. Contact us today to book your inspection and radon test!